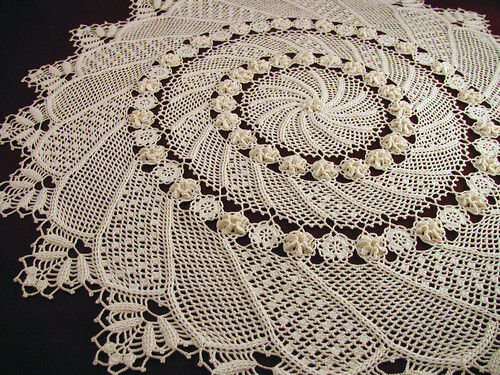 This is a fun doily to crochet. I love the spiraling pattern and the 3 dimensional flowers with the twisted petals. 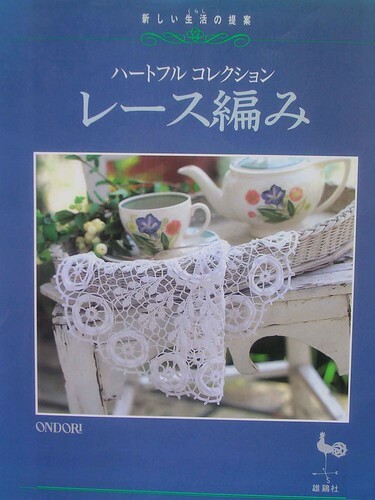 The pattern is in my all time favorite Japanese crochet book. I have crocheted 6 of the patterns so far and there are several more I would like to try. A close-up photo of the stitches. The cover of the book. The ISBN number is on my flickr page, just click the photo. The pattern for the Pineapple runner is in the same book. 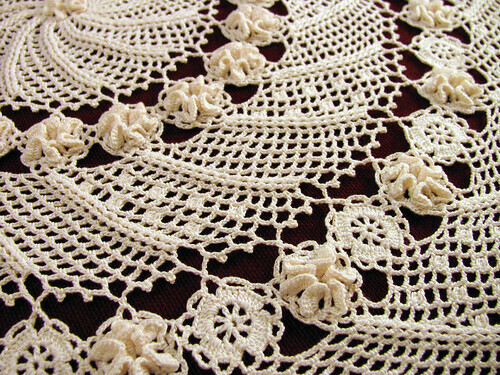 This entry was posted on Tuesday, January 20th, 2009 at 3:00 am and is filed under Crochet and Lace. Tagged: Crochet, Doily, Irish, Lace, Thread. You can feed this entry. You can leave a response, or trackback from your own site.